The World report on road traffic injury prevention is the major report being jointly issued by the World Health Organization (WHO) and the World Bank. According to the most dangerous place in the world to travel on roads is in the impoverished East African state of Eritrea and the safest road conditions were found in Marshall Islands. The opposition Democratic Party won election defeating Liberal Democratic Party which ruled Japan for 54 years. Yukio Hatoyama will be chosen as the Prime Minister. Fiji has been suspended from the Commonwealth after it failed to respond to a demand to begin restoring democracy to the island nation. The Group of 20 countries met for two days to focus on the worldwide financial crisis, and plot how to avoid a repeat in the future. 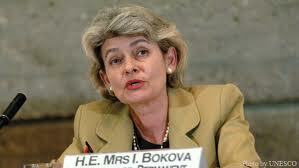 Irina Bokova, ex foreign minister of Bulgaria was elected as the chief of UNESCO. She is the 1st woman chief of UNESCO. According to “Global Times”, among the 60 most influential persons on China, Tagore is in the 11th place and Nehru is in the 19th place. Yukiyo Hatoyama, the leader of Democratic party of Japan sworn as the Prime Minister.